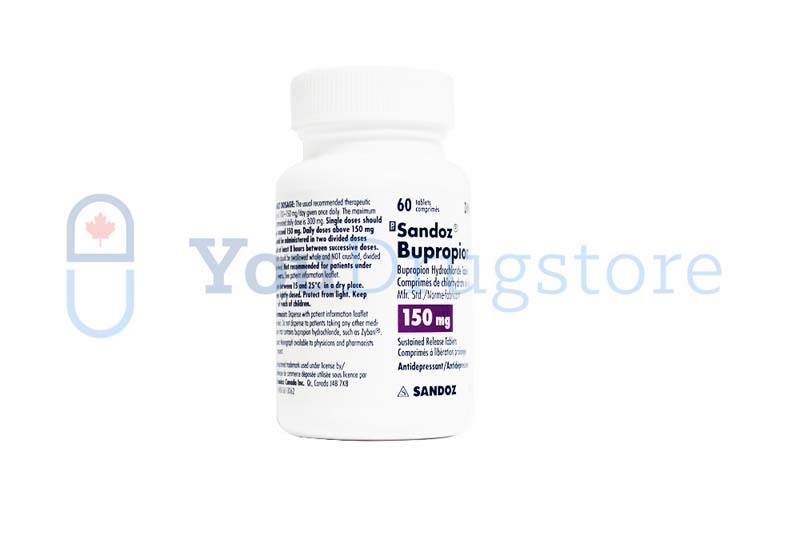 How do you order Bupropion SR 150 mg online? 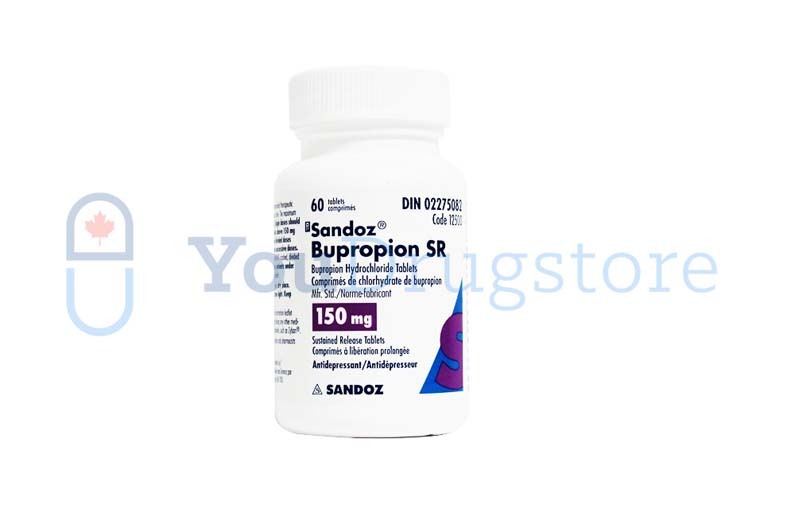 You can order Bupropion SR 150 mg online from Canada if you have a prescription. YouDrugstore is an online pharmacy based in Canada. That means you can order this antidepressant medication from YouDrugstore at the same price Canadians pay. Just register a free account on YouDrugstore.com and then send us your prescription. After we have received all of the required information from you our team of professional pharmacy technicians and physicians will review your order. Purchase this drug from YouDrugstore and enjoy our cheap shipping costs, including free shipping on any order over $100. This medicine is used to treat depression and is the generic alternative to Wellbutrin. Who might receive a prescription for this medication from their doctor? Your doctor has prescribed generic Bupropion SR to treat depression. Depression is a much more serious condition than most people believe. It is not the same as the upset we all feel from time to time. Depression is a persistent and pervasive low mood that negatively affects several parts of a person's life; including their social and professional relationships, their physical health, their diet, and their sleeping patterns. There are two major types of depression that the drug is prescribed to treat: major depressive disorder and seasonal affective disorder. Major depressive disorder, or MDD, is essentially long-term depression. Seasonal affective disorder (SAD) is depression that occurs at particular times of year in those who usually display normal psychological health – it typically occurs during the fall or winter. Tell your doctor if you have a history of kidney problems, liver problems, seizures, diabetes, alcohol abuse, or if you are pregnant before taking these tablets. Do not take it if you are allergic to it or any of its ingredients. Why is it prescribed to treat depression? Bupropion SR is a unique medication. It works similarly to a selective serotonin reuptake inhibitor (SSRI), but it is not considered an SSRI. It also does not cause weight gain or the same sexual side effects that are associated with SSRIs. The mechanism of action is not clearly understood yet by doctors, but when used properly it causes your body's level of serotonin to rise. Serotonin is a neurotransmitter that doctors believe is responsible for your brain's ability to manage your overall mood. By having more serotonin your brain is better able to manage your mood and your sleeping patterns. Bupropion SR is the generic alternative to Wellbutrin, which is one of the most commonly prescribed antidepressant medications in the US. Purchase this medicine from YouDrugstore today and get trusted treatment to help you reduce the symptoms of depression. In most cases, these side effects are just a sign that your medication either needs adjusting or that your body is getting used to it. However, if you experience a sudden increase in appetite, bloating, sudden or severe headache, and an increase in weight speak to your doctor immediately. These are rare side effects that could be potentially harmful. Speak to your doctor if you have any questions or concerns about taking generic Bupropion. Bupropion SR 150 mg is almost always taken once daily. It can be taken with or without food, but it should be swallowed whole. Do not crush, chew, or break the tablet apart. Because of its 24 hour sustained-release mechanism, the drug should be taken every day at the same time of day. This is to ensure a consistent amount of medication is in your body at all times. Despite these suggestions, always take the medication exactly as your doctor has instructed. Never take any more or any less than they have prescribed. Your doctor may also change your dose several times as you progress through your treatment. If you have any questions about how to take it call your doctor.